Patent Pending - Made from retired, heavy duty fire hose sized and punched to the dimensions of standard latches (Igloo part# 24013). Fits rectangular-shaped latched Igloo coolers from 25-165 quarts. Replaces standard plastic, or the more expensive, stainless latches. Advantages over other latch options: Fire hose latches will outperform plastic latches in strength and bending cycles. Completely impact resistant compared to all other latch options, including stainless latches. Latches will not scrape or cut legs when accidentally bumped. Latches are not damaged when caught between lid and cooler, bent backwards when laying the cooler upside down to dry out, or by impact with walls, truck beds, ect. Flexibility provides tension for tighter lid closure and tolerance of weight on lid when using cooler for a seat. Important - This does not include the round studs that mount to the body of the cooler. It includes the fire hose latch and screws that attach it to the lid. The latch's hole is sized to snap over your old stud. 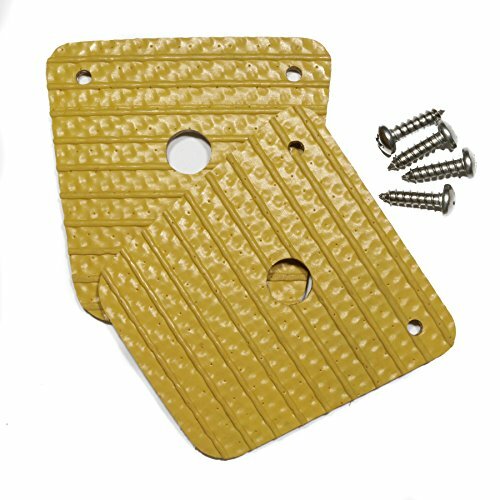 If your studs are missing or you need a new one, you should buy latches from a seller that includes studs. Snaps on to your existing latch studs. Does not include new studs. Includes 2 latches and 4 stainless steel screws. Click Unhinged Solutions above to view other sets.